Each month about 20 teenagers between 10 and 19 take their lives. High competitiveness and selectivity in university entrance exams are among the main causes. Teachers and experts complain the problem is not receiving the necessary attention and instead is too often swept under the carpet; they call on schools and educational institutions to adopt specific programmes geared towards young people. Seoul (AsiaNews) – A highly competitive educational system, an extremely selective process for university entrance, violent hazing and bullying in schools and poor family relations are driving too many young South Koreans to take their lives. 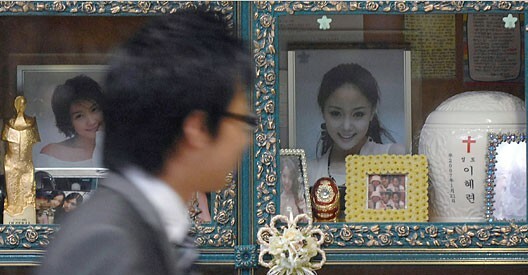 Indeed suicide remains a serious problem in South Korea and the second cause of mortality among teenagers. About 20 teenagers kill themselves a month as frustration and anxiety are rising among young people. But countermeasures and follow-up steps taken by schools and welfare agencies are wanting. Official figures about youth suicide are alarming. According to National Statistical Office data, 233 young people between the ages of 10 and 19 committed suicide in 2006. Every year, more than 200 teens kill themselves—264 in 2000, 297 in 2003 and 279 in 2005. Hanyang University College of Medicine Professor An Dong-hyeon said teens require particular attention. Since they have yet to form their identities, they are insecure about a lot of things, and unlike adults, they often kill themselves fairly impulsively. Unlike adults who commit suicide after thinking it through, young people follow their emotions and state of mind. School failure is among the top causes of youth suicide. In one case last December year, the nation was shocked when twin sisters jumped from an apartment building in Changwon, South Gyeongsang Province, because they were upset about their university entrance exam scores. For experts when suicides do occur, schools should not keep the matter quiet, but rather take active measures aimed at other students. One expert warned that if a friend commits suicide, teenagers at the height of their sensitivity can fall into depression or, more dramatically, attempt copy-cat suicides. Making matters worse schools lack the means to cope with the issue, a problem often denounced by teachers. Growing violence inside the school system is another problem.